Editor's note: I met SK Falls a few years ago when I was organizing the release tour for my first novel. Her cheery personality, her admirable talents, and her authorial philosophies quickly made her a priceless writer's resource. (In fact, I credit her with helping me get my most recent novel finished, thanks to Fast Draft, which you can read about here.) 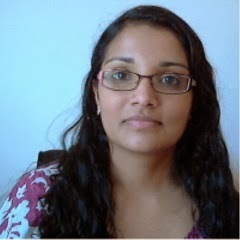 Recently, she shared a bit of news with me and I knew hers was a story the Query Tracker audience would enjoy reading. These days, authors have multiple options available to them to get their books in readers’ hands. Self-publishing, small presses, Amazon imprints, traditional or Big Five publishing…the opportunities are truly endless. Some of the paths take a long time (cold querying) while others can be almost instantaneous (self-publishing). I tend to be a fairly middle-of-the-road person with most things. This is true for the business side of my writing career as well. While I wanted to get my books in readers’ hands (and thus bypass the traditional publishing waiting game), I didn’t necessarily want to do the indie thing forever. I wanted to get my books out, gain some readers, and then wait patiently to see what other avenues opened up to me. As it turned out, this was the right decision for me. In the nine months since I’ve gone indie, not only did my first novel hit Amazon’s sci-fi bestselling list, but an agent contacted me about representation. What’s particularly interesting is that my agent didn’t contact me about my first, more successful novel. She wanted to talk about my second one—a contemporary novel that, at the time of her email, had only been out a couple of weeks and hadn’t yet amassed a huge readership. You probably already know that publishing nowadays is nothing like publishing five or ten years ago. You don’t need the front table in a bookstore to make awesome sales (though, of course, that still is a golden ticket if you can get it!). If you write genre fiction, you just need a combination of a great cover, blurb, and book, and for Amazon’s algorithms to treat you right. My first novel World of Shell and Bone hit the home run on all these fronts. I put it up at a time when publishers weren’t buying dystopian fiction but readers were still devouring it. I worked hard and I got lucky. I still wasn’t closed off to a more traditional or hybrid path, but I was doing all right for myself. Fast forward six months. Readers were clamoring for a sequel to World of Shell and Bone, something I actually hadn’t fully planned on writing. I had this ghost of an idea for one in the back of my head, but my contemporary novel was begging to be written first. So, in spite of all the business advice out there saying to strike while the iron was hot, I decided to shelve the sequel for the moment. In the six months since World of Shell and Bone had come out, my craft had improved by leaps and bounds (nothing like finishing a book to teach you what not to do). Writing the contemporary novel was a fabulous experience—I had a great time getting the words down, and the people who read it seemed to love it. But this time, the algorithms didn’t favor me so much. 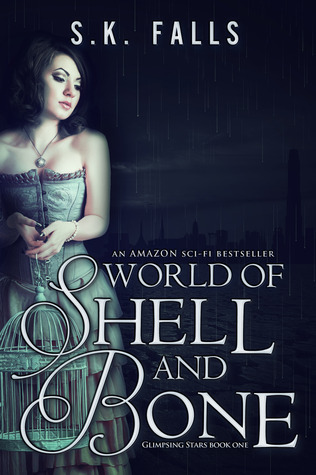 The cover, which I know now wasn’t working for my target market (too romance-y), didn’t appeal to fans of World of Shell and Bone either, so I didn’t have many readers crossing over. The novel fell into obscurity fairly quickly in spite of stellar reviews. I was heartbroken, because I believed in this book so, so much. I chalked it up to experience, decided to maybe do a rebrand of the book at some point in the future, and began to write the sequel to World of Shell and Bone. That’s when, out of the blue, I got an email from an agent who worked for a very reputable agency. She’d read my contemporary novel and loved it. She wanted to talk about how we might get it in front of the right readers with a publisher’s help. We had to spend time figuring out the hybrid aspect of our relationship because most clients of her agency were traditionally published. However, this particular agent—young and enthusiastic about the digital arena like many older agents aren’t—was open to listening to my points of view. I, in turn, learned a lot from speaking with her about what an agent or publisher might be able to do for me that I couldn’t do for myself. We came to agreement on a contract and signed together. And now, I have a professional partner in my corner who brings experience and business know-how to the table. For someone who isn’t totally in love with the business aspects of writing, this is a bolstering thought. We only just signed the contract, so this is new territory to me. How it will all unfurl still remains to be seen. What I’m most excited about is getting those doors open that were before completely sealed shut. One thing I’d love to do is have my books published by Amazon’s imprints. Again, that venue is only available through an agent. I think I should note here that my agent would probably not have found me if I hadn’t self-published. Even though my contemporary novel had a hard time finding readers, the small number who did became early fans, posting about it on their blogs and social media. My agent found it through one such book blog, was intrigued enough by the blurb to try it, and was sold. So while there are many venues to getting an agent (and ultimately a large readership), I think self-publishing is a viable, legitimate one. Bestselling indie-turned-hybrid author Hugh Howey advises new authors to self-publish first and let the agents come to you. Following his advice has worked well for me so far. I think it’s important, in this changing climate, to keep our minds open to the various venues now available to us. There’s no need to languish in the slush pile anymore. Congrats to S.K.Falls and thanks Ash, for bringing us this post. I haven't been as lucky as S.K. (still waiting for an agent!) but I find her story encouraging: I also wrote a contemporary novel that I was in love with (to some extent, it reflects my own life) but not at all the "genre" kind that sells on Amazon. It got plenty of excellent reviews that were all very encouraging...but precious little sales! So I figured my career was kaput: after all, any book's sales in this digital age is out in the open for anyone to check! This was not so in the past, where poor sales were hidden in cupboards...But maybe, just maybe, good reviews do make a difference in the long run. You've given me hope, thanks! I am aware of one such pairing beside the fabulous ones told here. I suspect agents slush-piles are so tall, the reputable ones rarely go scouting or even stumbling onto unagented writers who would like representation. It happens, but to be fair- *very* rarely. All the more reason for you to celebrate your great pairing: its preciousness.